Firstly you should add more lands. 15 just isn't nearly enough for any deck in Standard, and much less Control. 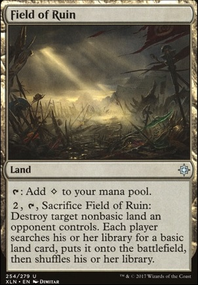 You'd much rather spend your time and resources controlling the board than searching up lands. I'd play 26 or so. Then I'd clean out the vast amount of spells to make the deck more streamlined. 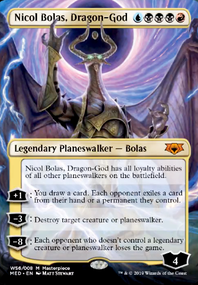 Honestly you're probably best off somewhat imitating Esper Control, since you want to keep the board clean and then use Nicol Bolas, Dragon-God or Expansion / Explosion as finishers instead of Teferi, Hero of Dominaria . Cut down a lot on the counterspells and add removal + board wipes. Creatures will slip by counters at some point and then you need to be able to interact with the board. As is, just about any resolved creature has you dead. Lava Coil , Cast Down and Moment of Craving are all great at 2 cmc. Some amount of Cry of the Carnarium and/or Ritual of Soot will help a lot against aggro too. Sinister Sabotage is strictly better than Admiral's Order in a deck with no creatures. Risk Factor doesn't do anything for you, since you're not pressuring the opponents life total in any meaningful way. Chart a Course is better than Tormenting Voice , because you get to see more cards before you decide what to discard and it doesn't cost you 2 cards, if it gets countered. I think you'd be much happier with Search for Azcanta Flip in that spot though. 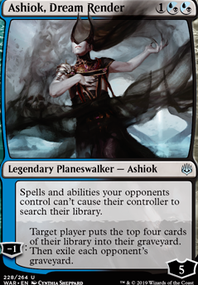 A lot of things to play with, but I would prefer Grixis over the current Esper Control any day, so fingers crossed for it's viability. 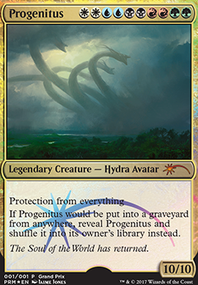 Ever since seeing God-Eternal Kefnet and Nicol Bolas, Dragon-God , I too have been thinking of a midrange/control shell to put them in. I think a card that would fit well in here is Treasure Map Flip, it gives you card filtering early, helps with getting value out of God-Eternal Kefnet , and when it flips can help you ramp and draw cards on your opponent's turn to trigger God-Eternal Kefnet as well. The rest of the deck looks pretty much to be what I was thinking, with a focus on removal spells and some good amass cards to help close the game out. Hey goatshoes, thanks for commenting! I used to have a couple copies of Thief of Sanity , but I actually ended up removing them per frosthammer_eden’s advice and replaced them with the Hostage Taker s. This has worked out great, as 1) they don’t die to Cry of the Carnarium or Ritual of Soot and 2) they have an ETB, which is really helpful for dealing with on the board threats that are difficult to get rid of. I’m hesitant to remove the Dream Eater s because of their flash, removal, and most importantly, surveil synergy. However, I agree that a third bug might be really nice. Perhaps I’ll remove one of the Creeping Chill s and add that third bug in. 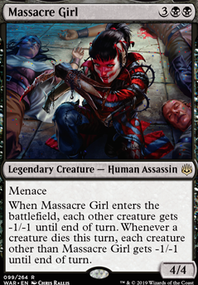 WAR spoilers have started, we've got a few cards with potential so far. 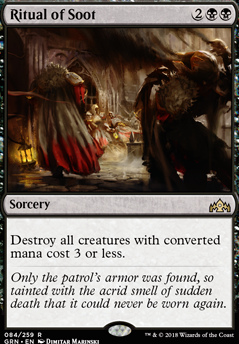 Widespread Brutality seems like an expensive boardwipe, might be good if theres good removal with amass, but I think Ritual of Soot is still stronger atm. Ob Nixilis Cruelty good removal, though it costs 3 CMC, also has exile clause, this seems like something for future use, maybe after rotation. Ah, yes the Revel in Riches enchantment. I personally gave up on it ages ago due to it ending up as a dead card for me on a number of instances, granted that was on paper and not Arena. Are you basing this off of the Best of One matching on Arena? If not, a sideboard wouldn't be a bad idea. Cry of the Carnarium is better than Golden Demise due to you having no creatures and Cry will exile anything that dies on the turn. Fountain of Renewal isn't Orzhov Locket , but it gives you some incidental life gain and a card draw. Kaya's Wrath is much better than Ritual of Soot here, though it costs . Arguel's Blood Fast Flip, maybe, for the card draw only. No need to flip it on the way this deck is built. Moment of Craving interchanges with Cast Down depending on the match up, so more of a sideboard option. On your Maybeboard, I feel like Revitalize is a must. The only card draw you have is through the locket and Treasure Cove s. Sometimes you'll have to dig for answers and there isn't enough card draw for my liking.